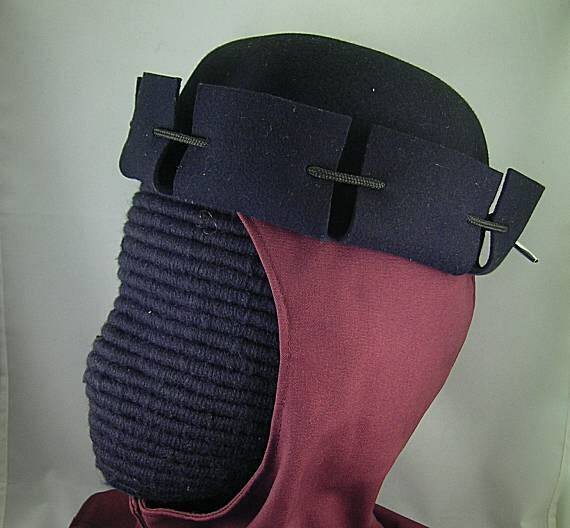 The perfect hat for your Burgundian or early Tudor cotehardie and/or houplande. 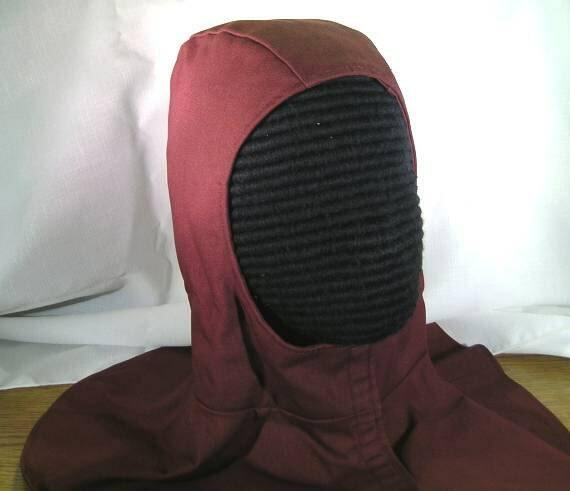 It was still popular in Italy during the Renaissance. 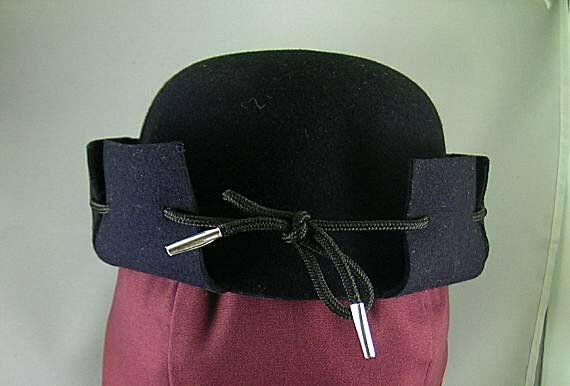 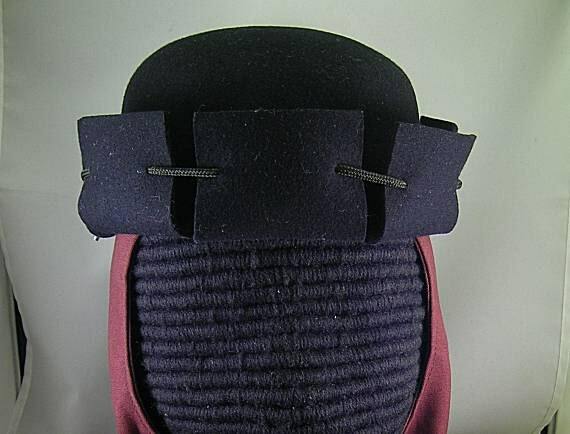 This slashed and laced hat is made of black wool felt and tied with a cord that has aglets (metal tips) on the ends. 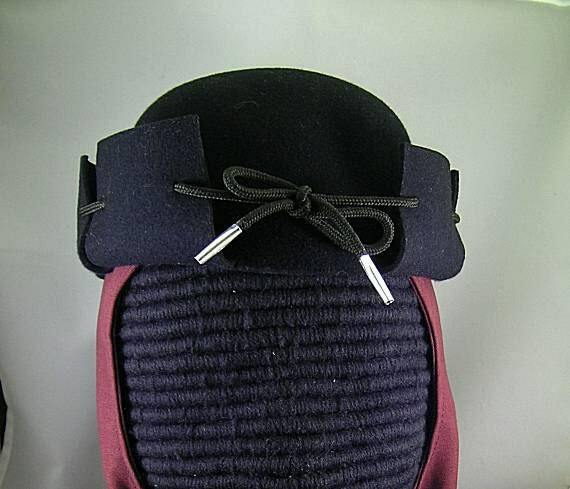 The bow can be worn in the front or the back (see pictures).